Viking RTS Adds New Skirmish Mode and Battleboard Mission, Improved UI and Art, Viking Archer character and Oil Bombs. 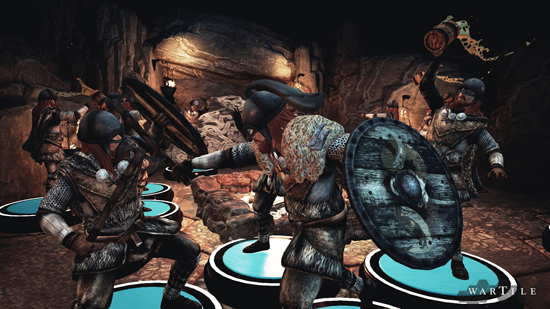 Wartile digital diorama-themed Battle boards, gets its first major content update today in the form of Adventure Pack 0.5. Other updates and tweaks include brand new art for Ability and Godly cards, which have been revamped with new art and coloured markings so players can distinguish them more clearly. Poisonous toad dust bombs have also been added to the player’s arsenal of deadly assets and, for those keen to get up close and personal, the Viking headbutt will allow players to stun opponents during an attack. Oil Bombs now provide a short based range attack to engage in full on Viking arson, and no Viking rampage would be complete without the healing benefits of alcohol - flasks of medieval Mead can now be consumed by your Viking to provide a small recovery to health.